Rev. 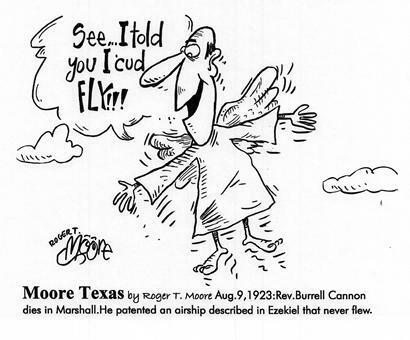 Burrell Cannon who patented Ezekiel airship dies in TX. Aug. 9, 1923: Rev. Burrell Cannon dies in Marshall. He Patented an airship described in Ezekiel that never flew.